ESPN's Mark Ogden believes Arsenal are agreeing to two more years of mediocrity by keeping Arsene Wenger on as manager. Arsene Wenger has ended speculation over his future as Arsenal manager by signing a new two-year contract at the club. Wenger, who has won three Premier League titles since joining Arsenal in 1996 but none since 2004, extends his reign at the London club into a 22nd season and beyond. The club announced in a statement on Wednesday: "Arsenal Football Club and Arsene Wenger have agreed a two-year extension to his contract as manager ... Arsene and chief executive Ivan Gazidis have conducted a full review of our on and off the pitch activities to identify areas for improvement to build a sustained title challenge." Wenger said: "I love this club and I am looking forward to the future with optimism and excitement. We are looking at what we do well and how we can be stronger everywhere. This is a strong group of players and with some additions we can be even more successful. We're committed to mounting a sustained league challenge and that will be our focus this summer and next season. "I am grateful to have the support of the board and [majority owner] Stan [Kroenke] in doing everything we can to win more trophies. It's what we all want and I know it's what our fans around the world demand." The new deal finally ends a year of uncertainty that by Wenger's own admission badly damaged Arsenal's Premier League campaign, as the Gunners finished in fifth place after a two-month slump marked by fan protests and divisions. Wenger has faced unprecedented criticism from fans and pundits alike this season but strengthened his case for staying in charge by delivering a third FA Cup triumph in four years on Saturday -- setting a record both among clubs (13) and managers (seven) in the process. He said after that 2-1 win over Chelsea at Wembley that he was still the right man for the job, and he received the backing of the club board at a meeting on Tuesday. Wenger agreed terms on a new contract back in November but had refrained from signing it amid the toxic atmosphere among fans and speculation that the club could bring in a sporting director to limit his powers. However, he now seems to have been given the assurances he was looking for in terms of keeping the final say on all technical matters. At 67, Wenger has insisted that his hunger for success remains as strong as ever and had pledged to continue managing elsewhere if he could not stay at Arsenal. The new deal is also another strong showing of support from majority owner Kroenke, who ultimately had the last word on whether Wenger should be allowed to stay on. Kroenke, who recently rejected a takeover bid from minority owner Alisher Usmanov, reportedly held a private meeting with Wenger on Monday to discuss the deal before the board ratified it. Said Kroenke, who also owns multiple U.S. pro teams: "Our ambition is to win the Premier League and other major trophies in Europe. It's what the fans, players, staff, manager and board expect and we won't rest until that is achieved. Arsene is the best person to help us make that happen. He has a fantastic track record and has our full backing." Gazidis added: "There is no complacency anywhere at this club. Our goal is to compete for and win trophies here and in Europe. Everything we do is designed to make that happen and we will be working hard on and off the pitch this summer to improve and make a strong challenge next season. The club has grown beyond recognition in every aspect in recent years and we have the platform to be successful and meet the ambitions we and our fans share." But Wenger remains a divisive figure among supporters and his new contract extension will undoubtedly be unpopular with sections of fans -- some of whom staged protest marches outside the Emirates Stadium before home games demanding that he step down. Arsene Wenger became the most successful manager in FA Cup history with Saturday's win over Chelsea. However, it does allow the club to enter into a crucial summer with a clear sense of direction. Arsenal still have several key issues to sort out this summer, with new contracts for star duo Alexis Sanchez and Mesut Ozil among the most important. Sanchez and Ozil have yet to commit their long-term futures to the club, and Ozil has stated publicly that he wanted to know whether Wenger was staying in charge before making a decision. With the managerial situation now cleared up, the club are hoping both players will sign new contracts worth in excess of £250,000 a week each. 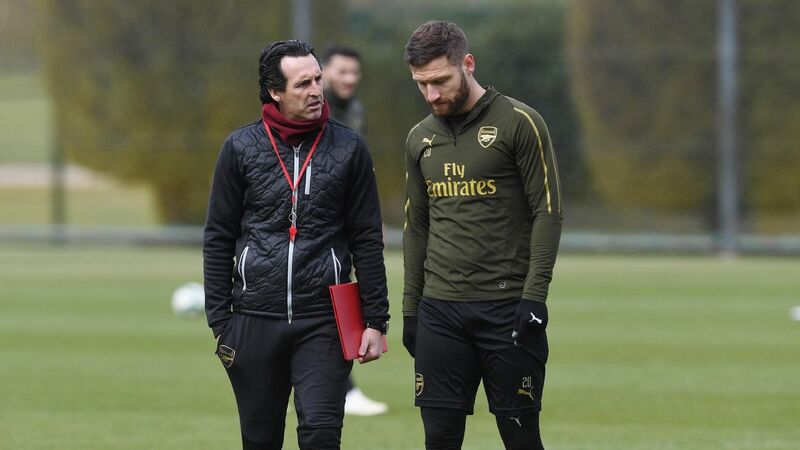 Other players such as Alex Oxlade-Chamberlain, Jack Wilshere and Aaron Ramsey also need new contracts, while the club must decide whether to sell others such as David Ospina, Kieran Gibbs, Joel Campbell and Lucas Perez. Wenger will have the final say on all those matters, and now has the platform to begin putting his plans into action. Wenger has also said he wants to buy "one or two" top-class players in this transfer window, with left-back Sead Kolasinac already set to join on a free transfer from Schalke. Wenger said of his summer transfer plans on Wednesday: "First of all, we have a very heavy squad at the moment so maybe we might lose some players. We want to keep the strength we have and build on that. We will work very hard to find the additions of top, top quality. I believe that our squad is very strong and we will only look for top-class people who can strengthen our team now. The basis is there so we need the additions who will make a real difference. "First of all, we look at the top, top quality available. We have seen in the recent games against Manchester City, Chelsea and Manchester United that we are a very strong team. For us it's very important that we only consider the players who can really make a difference, no matter where it is." Arsenal's statement added: "In addition to the record £110 million investment in players last summer, we have made almost £40m investment in facilities at our London Colney training centre and the academy at Hale End in the last two years." Usmanov, who does not sit on the Arsenal board and was not present at the meeting with Wenger, put out a statement later on Wednesday calling on the manager to be given the complete backing of Kroenke and the other board members. "I am pleased that Arsene Wenger will continue to manage Arsenal for the next two years as he is one of the very best coaches in Europe," he said. "What is now of paramount importance is that he receives the full support of the board and majority shareholder. He has a great opportunity to deliver the success that the fans deserve and the legacy that his long contribution merits. "However without the right support there remains a real risk that his legacy will be tarnished. If the support is not forthcoming, we stand ready to step in and do everything we can to deliver success on and off the field."